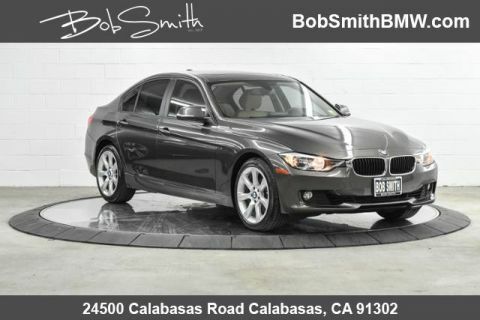 BMW Certified, Previous Bob Smith Company Vehicle, CARFAX 1-Owner, LOW MILES - 23,889! EPA 35 MPG Hwy/23 MPG City! Moonroof, Heated Seats, iPod/MP3 Input, Rear Air, CD Player, Onboard Communications System, Dual Zone A/C, PREMIUM PACKAGE, BURL WALNUT WOOD TRIM, HEATED FRONT SEATS, All Wheel Drive, Turbo Charged Engine CLICK NOW! All Wheel Drive, Rear Air, Turbocharged, iPod/MP3 Input, CD Player, Onboard Communications System, Aluminum Wheels, Dual Zone A/C. MP3 Player, Child Safety Locks, Steering Wheel Controls, Heated Mirrors, Electronic Stability Control. PREMIUM PACKAGE Storage Package, Auto-Dimming Rearview Mirror, Universal Garage-Door Opener, Auto-Dimming Interior & Exterior Mirrors, Moonroof, Power Front Seats, Satellite Radio, Comfort Access Keyless Entry, Lumbar Support, HEATED FRONT SEATS, BURL WALNUT WOOD TRIM Pearl Gloss chrome highlight. The staff at Bob Smith BMW is ready to help you purchase a new BMW or used car in Calabasas. When you visit our car dealership, expect the superior customer service that you deserve. With years of experience and training, the Bob Smith BMW team will get you into the BMW that was built for you. Get the new or used car by BMW in Calabasas that you have been dreaming of by calling or visiting Bob Smith BMW today. We are located a stone's throw from Woodland Hills, Canoga Park and Chatsworth. Our experienced staff has helped many people get into the car that they want near Los Angeles and we want to help you too. Browse our new BMW inventory or our used car inventory to find the car of your dreams. If you need a car loan check out our finance page to start the process. If you need parts or service don’t forget about our talented BMW repair technicians and BMW parts professionals. Bob Smith BMW strives to provide the best sales, service, and experience possible to make your car buying process stress free. 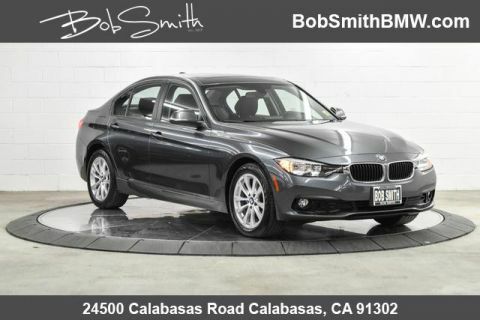 Don’t take our word for it, come down to 24500 Calabasas Road, Calabasas, California and see the Bob Smith BMW difference for yourself!